James Carville and Mary Matlin are used to be public relations spokespeople for the Democratic and Republican parties, respectively. They are each articulate, sharp and feisty. Sparks fly when they debate in favor of their parties, so much so that they seem like arch enemies who couldn’t possibly exchange a friendly word. I remember the shock reaction I had (how many years ago was it?) hearing that they were getting married. I pictured a contentious loud fighting household. Recently I saw the two of them on television talking about their private lives. One never knows for sure the truth about public figures or anyone else for that matter, but if taken at face value, they have a solid marriage, children and good family life. They displayed mellowness, respect and total togetherness. It was obvious that the party competitiveness was left outside of the house and what was brought inside was love, goal sharing, and family first. Businesses run by partners are very much like marriages. If the partners are in competition with each other they are creating a lot of damage. First of all, their relationship is limited because there cannot be complete openness between competitors. The ultimate goal of the success of the business is undermined and lost in the morass of the need to win over each other. 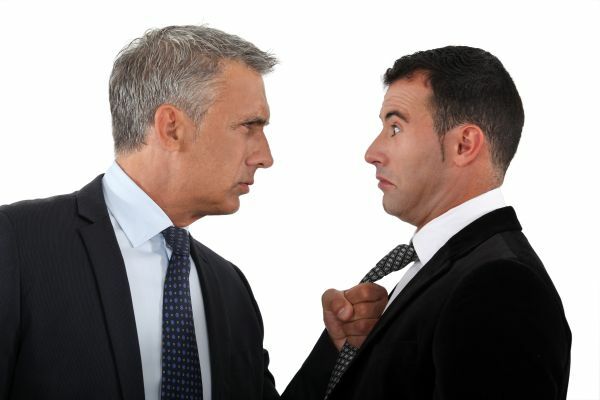 If the competition is obvious to others and it usually is, it creates a situation of two camps where employees, directors and suppliers choose sides. If the business is comprised of family members, the situation can be even more intense and damaging because the negative effects permeate to personal lives and to family members who may not even be directly involved in the business. As a coach, I help the partners focus on their goal for the business by examining the harm caused by destructive self centered behavior. The need to compete and win sometimes is an unresolved need to play out old family patterns even if the partners are not members of the same family. The goal of coaching is not to heal old patterns, but rather to contain them and to create new patterns of satisfaction that directly relate to business success. If the situation is so entrenched, therapy may be recommended as part of the solution. However, usually coaching techniques which direct the parties to clarify and satisfy needs in productive ways in order to focus on the business, such as Carville and Matlin focus on their marriage, is the usual path that can be implemented.